Using trasparent acetate as a plate, you can work directly from your drawing or photo (but you will need to reverse it in advance if you want to print the right way round). This is not a difficult process to learn, much of the skill lies in the inking. You will have the opportunity to experiment with this and see how inking can change the image. 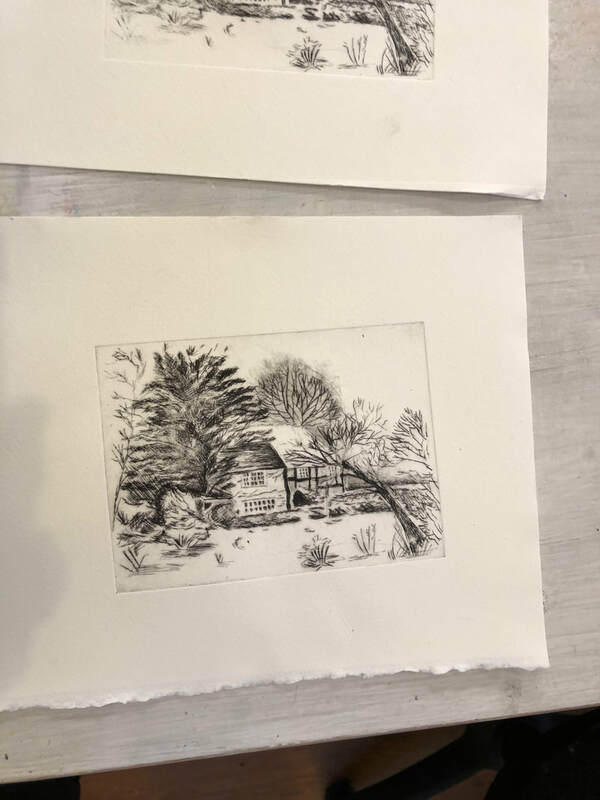 Although drawings and photographs are a great resource (reversed), you can also make great abstract work, or combine the print with watercolour when dry. You will also be able to add colour to your work with relief techniques. Working on A5 and A6 plates, you will explore a range of ways to make marks and textures. Printing is done on a press, which is essential for this process. However I will bring alternative, low cost presses for students to try out. Tools, equipment and alternatives to etching presses. Materials are not included in your course fee. Some materials will be provided by the tutor. The approximate cost of these will be £7 payable to the tutor during the course. The items you will need to bring with you are listed below. ​The tutor may not have the facilities to take card payments for materials in the workshops. Please remember to bring cash or your cheque book if your course involves buying materials from the tutor. If you have them, bring items with you that will scratch plastic (compasses, scribers etc) to make different sort of marks. Also items with a high raised surface, like lego blocks, for background texture.